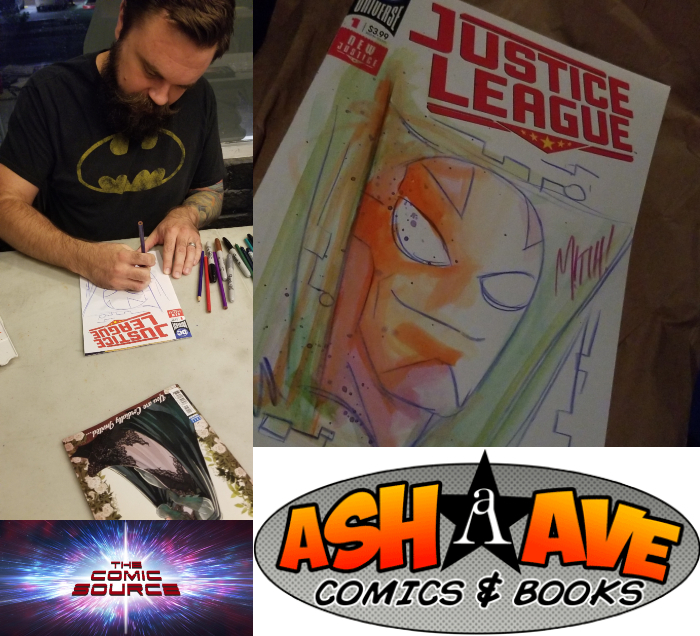 Jace chats with Drew, the owner of Ash Avenue Comics about the store, building a great inventory and the sense of community Ash Avenue Comics fosters. Also Drew talks about the big turn out for the midnight release of Batman #50, the incredibly talented Mitch Gerads and cake! Plus chats with a few fans in line about what brought them out in the middle of the night to pick -up Batman #50, including a fan who drove 6 hours from New Mexico!